Having grown up in Seattle, I'm used to living by water. But seeing the lifestyle that its proximity fosters, even from the very window of our cabin, was another matter entirely. 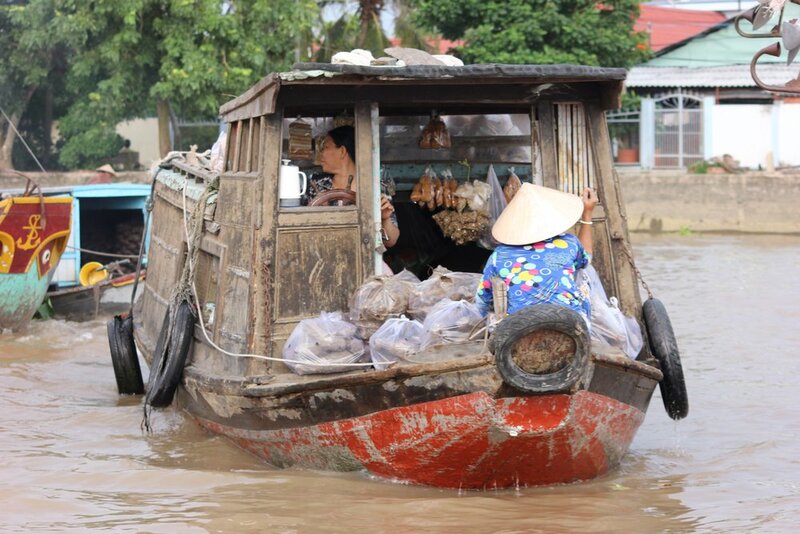 As we got closer to (and finally reached) the Mekong River, the economic activity that our ship passed only intensified - at one point there was enough boat traffic it was like driving on the highway back at home during rush hour! The color of the water is a result of the rainy (read: muddy) season. Some photos below. Sacks of rice being unloaded via conveyor belt. We passed many barges practically weighed down to the very water level with soil. 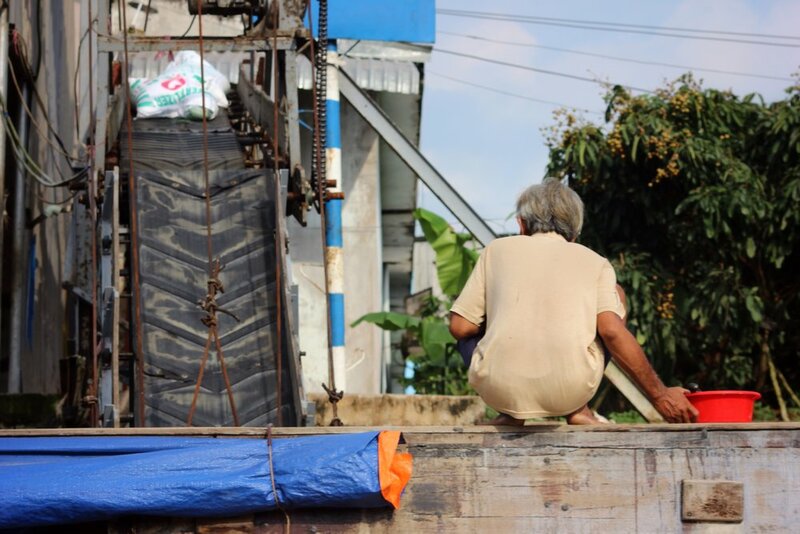 A woman taking a break at a floating market. A little boy grins at us from the back of a vendor's boat at the floating market. 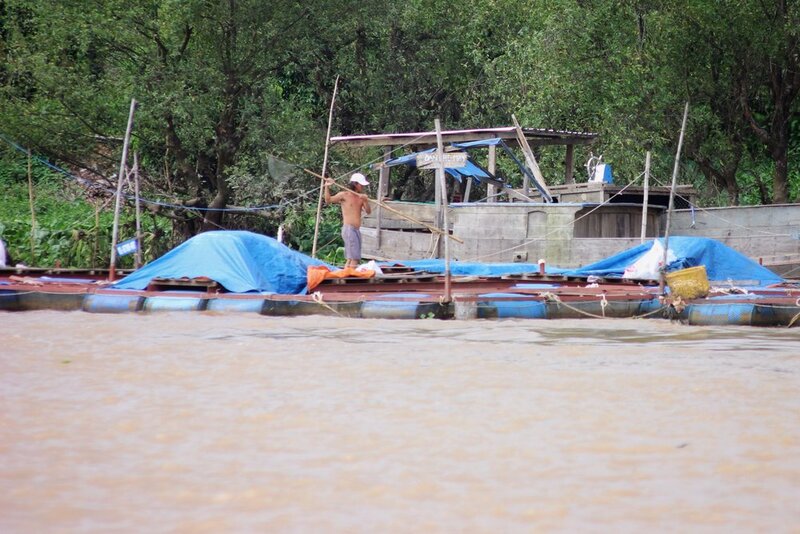 These boats have long bamboo poles on which they hang examples of what they're selling. (Although a hat affixed to the pole means that the boat is for sale). A boat leaving the floating market.